Hot on the heels of July, and on to a second event. 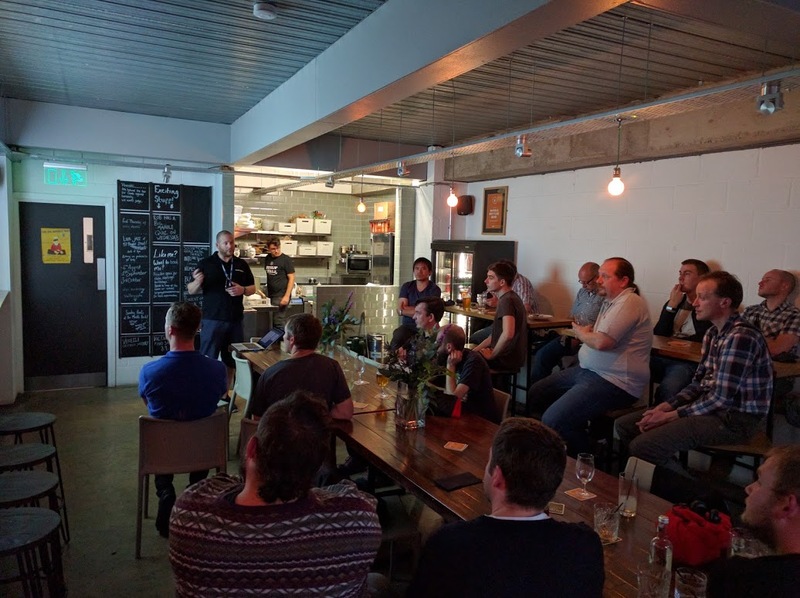 NetMcr #2 was held on August the 11th 2016, and once again at 57 Thomas Street. The evening started again with the usual hellos, welcomes & introductions, and then moved swiftly on to our line-up of presentations. 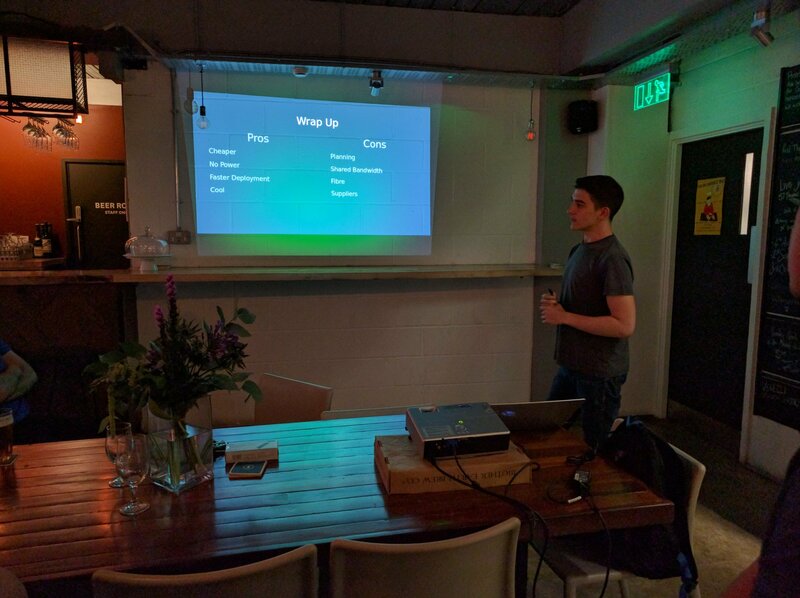 The first talk of the night was given by NetMcr’s co-founder Thom Seddon, on ‘GPON, for Fun and Profit‘. Thom’s presentation proved to be an extremely engaging topic, and we actually had to make a point of re-focusing the queries following the talk! 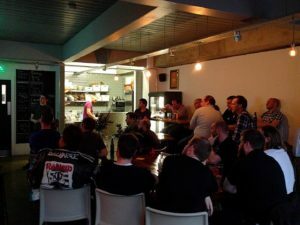 This was not without basis, however, as we were then precisely lined-up to be on time for our next talk of the evening: ‘A talk on Oxidized‘, by returning speaker (and NetMcr captive) Neil Lathwood. Neil. Once again proving to be the world’s finest, as-yet-undiscovered, public speaker. What was really great about the Oxidized talk, was that even in a room of die-hard RANCID users, not a single item of mouldy fruit was thrown. But given that Neil once again delivered such an enigmatic talk, I doubt it was even possible to conceive of such things. 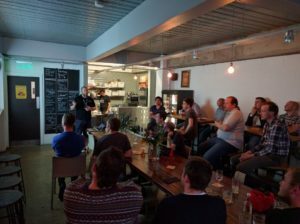 Hot on the heels of such a revelation, we were lead towards our final talk of the night, and perhaps the most anticipated; ‘Experiences using FastNetMon‘ by Jon Nield. 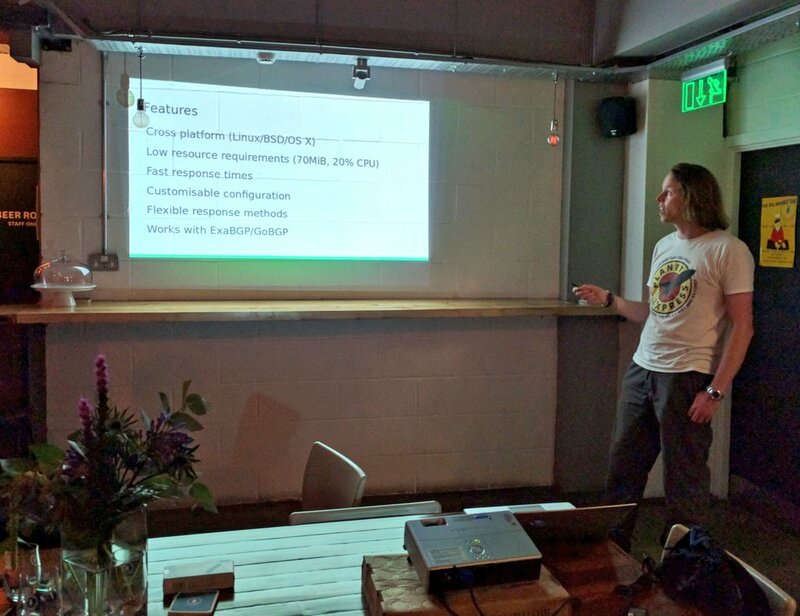 Jon giving his talk on FastNetMon. The credit goes again to @davidareader for getting a good snap. 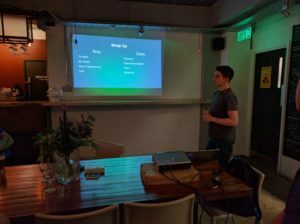 Jon gave a stellar talk on FastNetMon, despite being a newbie to NetMcr (and a late-comer to the speaker’s line-up for the evening) he’ll certainly be welcome back to speak at any point in the future. Once again Thom & I would like to thank all of those that came, and made NetMcr an enjoyable evening. All three presentations were fantastically delivered, and made for great discussion over the course of the evening.